Emphasizing that growth mindset has begun to pay dividends for this team. After a highly successful set of holiday tournaments during winter break, the team’s incredibly tough schedule to start the New Year resulted in a tough stretch. The last few games, however, have seen some great results against tough teams, including a 1-1 tie with Kimball Union Academy Saturday afternoon and an 8-2 win over Brewster Academy yesterday. In the last six games they have only lost twice, and Maggie believes this team will begin to turn those close losses and ties into wins as the season progresses, “I think if we keep working together and stay disciplined, we can compete with the best and can hopefully steal a few wins from some of the league's top teams. 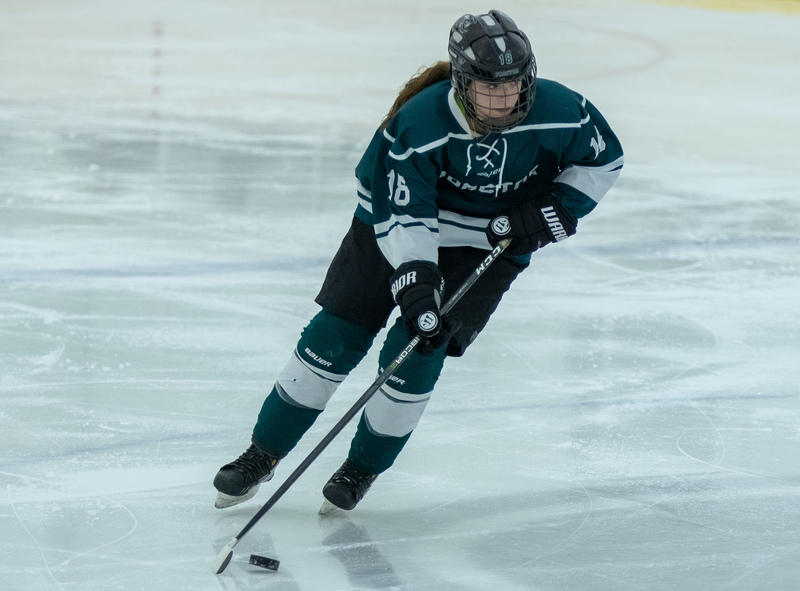 Though it's been a difficult season, we really approach every game with the belief that we can win and are ready to compete to try do that.” Sophie ’19 adds, “Our team does a great job in finding the positives. Before everything game each player explains their personal goal and their team goal. This gives players something tangible to work toward during the game, and even if we lose, the team knows we made progress. 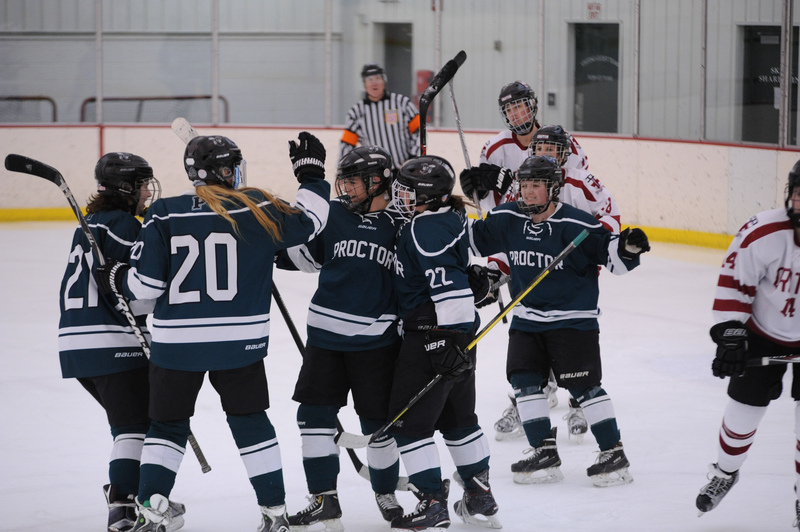 I’m proud to say we do a great job of getting each other pumped before and during each game.” Even with this difficult season that has happened the girls still can really make a splash in the Lakes Region, and anyone who has had the privilege of watching them compete on the ice knows this is not a team anyone can take lightly. The core of this team is built on its culture and mutual support of one another. As the team has improved tremendously throughout the season, the players have learned to lean on one another and to trust each other and their coaches. Kennedy notes, “We want to get better each day, individually and collectively, and to make sure we are supporting each other and lifting each other up. We try to get the most out of every player and give them the confidence to learn and grow. Most importantly, we want to make sure they are enjoying hockey because with all the pressure they face for college, their academics, and just life in general, it’s easy to lose sight of the importance of fun. It's supposed to be fun and that's always been a big goal of ours.” With just three weeks remaining in the season, the coaches and players will look to continue their journey together and to earn some hard fought wins along the way. The girls are on the road Saturday at Dexter Southfield.